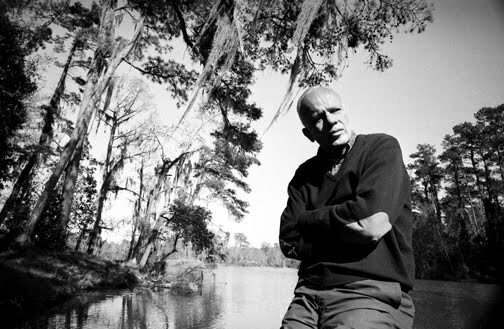 Micah Mattix noted last week at First Things the twentieth anniversary of the death of Walker Percy. Percy sought to answer that pressing question of modern life: “How, indeed, is one to live in this peculiar time and history and on ordinary Wednesday afternoons?” It is a question left glaringly unanswered by science, and near-unanswerable by the reign of scientism; a void which transhumanism seems to answer by simply unmooring from the everyday and the weight of the question, embracing instead some (quite extra-scientific) combination of fantasy and the will to power. First Bird Watcher: What is that? Second Bird Watcher: That is only a sparrow. A devaluation has occurred. The bird itself has disappeared into the sarcophagus of its sign. The unique living creature is assigned to its class of signs, a second-class mummy in the basement collection of mummy cases. But a recovery is possible. The signified can be recovered from the ossified signifier, sparrow from sparrow.... The German soldier in All Quiet on the Western Front could see an ordinary butterfly as a creature of immense beauty and value in the trenches of the Somme. But this very ossification is also the root problem with Percy’s fiction: he too seldom manages to recover his characters as unique individuals from the types they are meant to represent. One wishes that more of them would leap out of the pages with the same baffling realism of O’Connor’s best characters, as breathing and vital beyond our immediate comprehension; as characters who seem like real people suffering the sorts of despair Percy portrays. Percy’s depiction of The Moviegoer’s protagonist, Binx Bolling, is brilliant — but Binx’s ironic malaise, like the earnest malaise of Camus’s Mersault, is too pure. Binx is the ideal realization of a very real mode of being, but he could never exist as a real person. The stylistic flaws of Percy’s fiction, however, are actually integral to its philosophical strengths, for central to his work is a notion that the modern individual really is at great risk of vanishing into constructed types. (This notion is played to great comic effect in the stilted affectation of characters like Walter Wade, with his “damn good bunch of guys” and “ace gents.”) And if Percy’s characters’ lives seem fragmented, and his plots sometimes lacking in narrative coherence, it is in no small part because his work seems to depict modern life as susceptible to such fragmentation and incoherence. Still, the flashes of profound insight into the human condition that make up Percy’s work might in some cases have been more effectively rendered in short stories. Part of the reason Percy’s prominence seems to have plateaued may be that he occupied a vital but nebulous region between fiction and philosophy, and between academic and popular writing. His nonfiction work is rather too informal and literary to fit into most of today’s philosophy curricula, and too formal (or formal in the wrong ways) for many English curricula, so the contexts in which it seems appropriate to read and discuss him are relatively few. But though his muddling of forms may not have helped his legacy, it actually made his ideas all the more effective — and it would be a mistake to pin him as in essence either just a fiction or a nonfiction writer, or to argue that he used one medium to advance arguments best suited for the other. The philosophical points Percy wanted to make could not find their full weight except when we could see the slices of life from which they were drawn, but could not find their full articulation except when he could grapple with them directly in essays; the two forms in which he wrote required each other. This is the main reason why Lost in the Cosmos, the book in which he combined fiction and nonfiction, was his best (and why, along with the conceit of it being “the last self-help book,” it was his funniest). And though Micah Mattix is correct that Percy believes “that we do not know who we are because we have rejected our sole point of reference: God,” we should be cautious of thinking this is the only or ultimate question at stake in Percy’s work, which, as Mattix hinted, is another part of the reason it has often been underrated. In fact, some of Percy’s most ardent followers have been nonbelievers, and not for lack of understanding his work: for Percy — a Catholic convert, but one whose writing suggested an agnosticism that he would have preferred to call “searching” — the source of the malaise and the possibility of a recovery from it both arise first out of the everyday, which ultimately raises but does not rest on the question of belief. Until recently, I read only “fundamental” books, that is, key books on key subjects, such as War and Peace, the novel of novels; A Study of History, the solution to the problem of time; Schroedinger’s What is Life?, Einstein’s The Universe as I See It, and such. During those years I stood outside of the universe and sought to understand it. I lived in my room as an Anyone living Anywhere and read fundamental books and only as a diversion took walks around the neighborhood and saw an occasional movie. 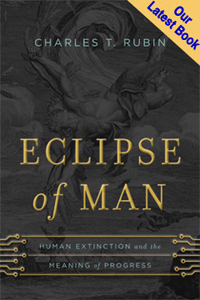 Certainly it did not matter to me where I was when I read such a book as The Expanding Universe. The greatest success of this enterprise, which I call my vertical search, came one night when I sat in a hotel room in Birmingham and read a book called The Chemistry of Life. When I finished it, it seemed to me that the main goals of my search were reached or were in principle reachable.... The only difficulty was that though the universe had been disposed of, I myself was left over. There I lay in my hotel room with my search over yet still obliged to draw one breath and then the next. So glad to see you giving Lost in the Cosmos its props. It's a great example of what Northrop Frye called the "anatomy" — which is the closest anyone has come to naming this genre of which Kierkegaard is the greatest master. It's a kind of mongrel genre, filled with bits and pieces of other kinds of writing joined together in funny and surprising ways, and it's the kind of book Percy should always have written. His mind wasn't really suited to conventional fiction, but it was perfectly suited to the insightful craziness of the anatomy. Yeah, I wish he'd written more of that nature. I do think he does important things with fiction that he couldn't have done elsewhere, but his novels didn't always hold themselves up. Which of Kierkegaard's works do you most highly recommend?